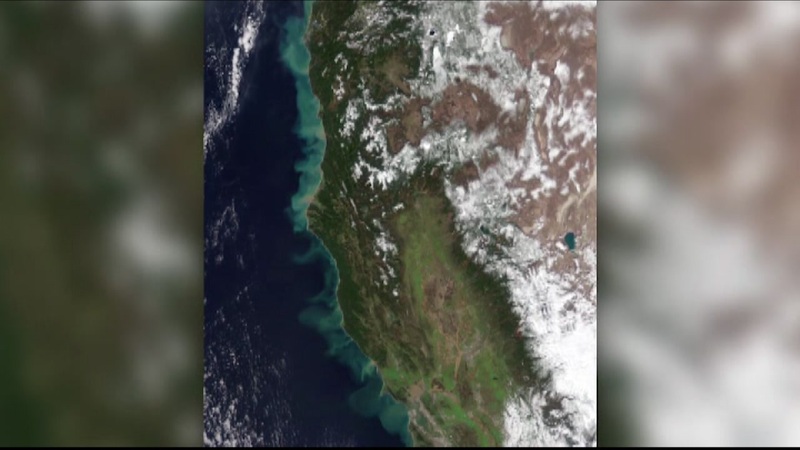 SAN FRANCISCO (KGO) -- Here's a space age view of how these big winter storms have affected California. This is a satellite photo from NASA's Earth Observatory. If you look close enough, you can see that parts of the Pacific appear to look brown and teal. That's because all the rain has pushed sediment through waterways and into the ocean. Brown Pacific water indicates sediment-rich areas while teal-ish water indicates sediment mixed with salt water.